The main event this weekend is the National Multicultural Festival. Join the crowds and head to the city to enjoy a smorgasbord of food, drink and performances from around the world. There are number of spin-off events to enjoy as well, including the Food & Wine Expo at the Convention Centre and the Canberra FRINGE Festival. Have a weekend off cooking and enjoy! 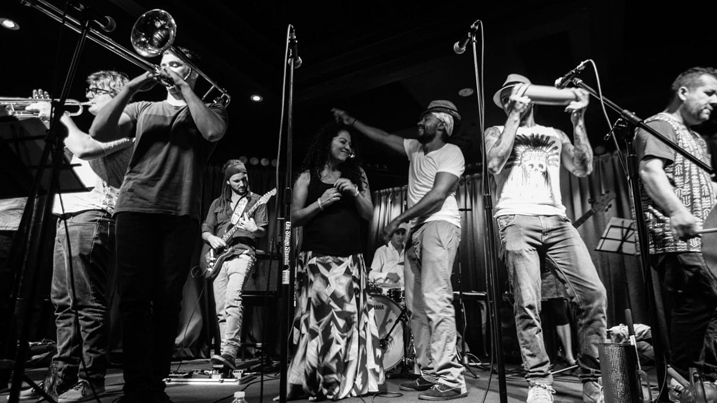 Eat and dance your way around the world this weekend without leaving Canberra. The National Multicultural Festival is one of Australia’s biggest celebrations of cultural diversity. It opens on Friday night with a concert, starting at 4pm and headlined by Kate Ceberano, and continues across the whole weekend with a packed program of entertainment. There will be 13 showcases and performance areas including an African village, a European village, India in the City, a Belly dance showcase, an Indigenous showcase and even a Shimmy Shindig showcase. And of course there will be a huge variety of food stalls to keep you nourished. The Canberra Theatre is supporting the festival again this year by hosting a multicultural comedy spectacular on Friday night and comedian Anh Do on Saturday night. If the queues for food are too long at the Multicultural Festival, you could head down the road to the Convention Centre and check out the Canberra Food & Wine Expo. It will feature cooking demonstrations by Masterchef and My Kitchen Rule celebrity chefs Carly & Tresne, Tasia & Gracia, and Ben Milbourne, and classes about cheese and wine pairing, making mozzarella and entertaining with your Thermomix! On Saturday, just off to the side of the Multicultural Festival you will find the Canberra FRINGE Festival. An experimental arts festival focusing on diversity of race, gender and lifestyle, the program will feature physical theatre, cabaret and music. FRINGE wants to keep you on your toes till the late into the night. And if one day isn’t enough, there will be a Canberra Fringe: Curtain Raiser at the Smith’s Alternative on Friday night, and Canberra Fringe Aftermath at the Front Gallery and Cafe on Sunday. Enjoy the continuing warm weather by packing a picnic and listening to the Canberra Symphony Orchestra on the lawns of Government House. The orchestra will play a range of classic hits with guitar quartet, Guitar Trek and will be conducted by Graham Abbott. This will be Canberra Symphony Orchestra’s first major performance for 2017. Sunday Assembly, a values rather than faith-based community organisation, is holding its first assembly for 2017 this week. 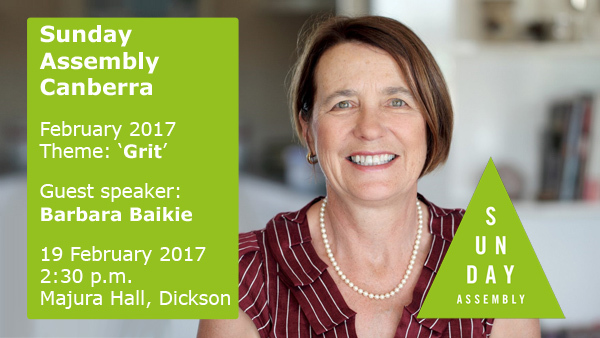 The theme for this month is Grit, and Barbara Baikie will be the guest speaker. Barbara is an executive coach and management consultant who is currently the President of the National Council of Women Australia. In 2011 she climbed Mount Kilimanjaro with her business partner, Dolores Cummins. While Dolores made it to the top of the mountain, Barbara succumbed to altitude sickness just below the summit. This journey taught both women much about success and failure, resilience and being vulnerable. They wrote about what they learnt in their book Altitude: Two Women’s Journey on Mount Kilimanjaro. Sunday Assembly will also feature readings and songs about grit and tea & cake at the end. Finish off your weekend with more food, drink and music on the lakeside deck of the National Museum of Australia. This week’s event features local folk guitarist, Will Campbell. He lists John Butler Trio, Kim Churchill, Passenger and Matt Corby as his influences, and is working on releasing an EP this year. Have we missed an event? Please share details in the comments.